The home septic systems depend on several interconnected components for it to work smoothly and efficiently. Any problem with even one of these components will lead to the disruption of the entire system. If you are facing septic drain field problems and require leach field repair by the professionals, we can help. 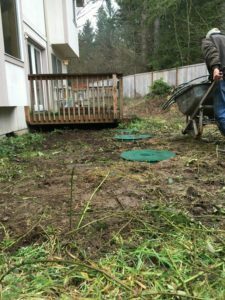 We at Vac Tec LLC offer high quality septic drain field repair services for Bethel, WA residents. As our technicians are experts in dealing with all septic drain field designs, you can rely on them for efficient repair services. Using the latest equipment, they offer repair services that include drain field aeration by way of Terralift and other approved techniques. It can be very irritating to have sewage odors in the air around the house. 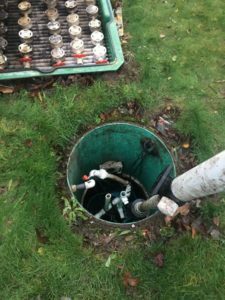 You need to get immediate drain field repair services to get rid of the odor and the problems causing it. If you are not aware of how to tell if drain field is failing, you need the help of the professionals. 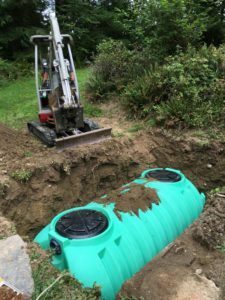 As the leading leach field repair company in the area, we have been offering septic drain field repair service for Bethel residents for a long time. If you are worried about the clogged drain field repair cost do not be. We will provide a written estimate of all the costs involved. You will find we are extremely competitive. You can trust us for any services related to drain field repair as we have been doing this for several years. When it is about the hygiene of your home and property, you need to choose the best company for leach field repair. With the availability of several leach field repair companies offering services in Bethel, choosing the best one can be a daunting task. We are the ideal company for leach field repair services in Bethel as we possess all these qualities. Feel free to call Vac Tec LLC at (253) 777-4887 for any septic drain or leach field repair services you may need in Bethel.